Yield, genetic diversity, agronomic characteristics, and stability are attributes we consider on all of our hybrids. Our Conventional hybrids were developed through traditional breeding methods, as well as using new genetic marking technologies. Our Conventional lineup represents the highest yielding germplasm in the marketplace today. 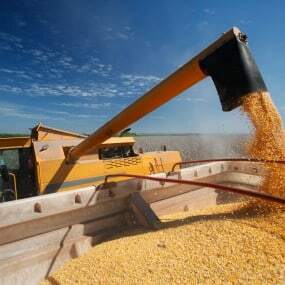 Our genetically diverse Conventional hybrids are suited for the multiple environments, management practices, and marketing goals of the farms we sell. 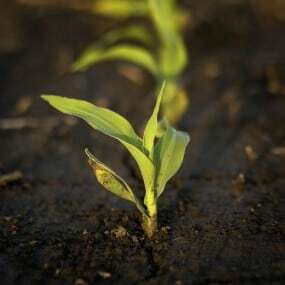 The seed parenting on these lines do not contain Genetically Modified Organisms (GMO’s) and may be suitable for a Non-GMO market for the Conventional corn grower. This early genetic family exhibits good southern movement for its maturity on highly productive and moderately productive soils. Excellent roots with good stalks for its zone. This germplasm family available in conventional corn with outstanding top end yield. This high yielding Conventiona1 hybrid comes from a new family of germplasm. This widely adaptable hybrid combines a fantastic agronomic package with superior test weight! A step change in yield on this 110 day RM germplasm family with RR2 and Conventional options. This genetic line brings superior agronomic characteristics and versatility. Handles a wide variety of conditions and management styles; a must plant for our growers. Our soil placement targets for FC 740 DroughtGard® tell the awesome story of this hybrid. It is highly recommended for highly productive, moderately productive, and less productive soils. The profiles of this hybrid provide what we consider a “step change” in yield for this highly productive adaptable hybrid. This widely adaptable germplasm was best of class rising to the top of yield index in and out of stress in multiple environments. Strong performer in our Eastern Corn Belt Network Test. This hybrid is all about yield on a very good late season stalk with high test weight grain. Exceptional late season plant health and intactness. Medium plant type with medium ear placement. Shorter husk cover accelerates drydown at seasons end.